Overall an clean an enjoyable Text To Speech! 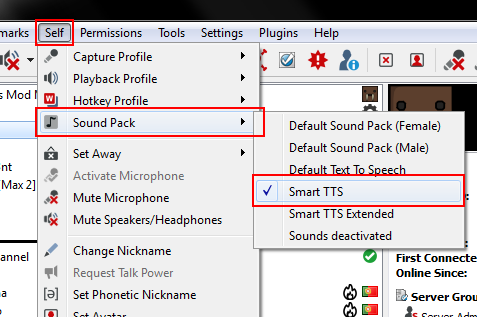 Its basicly Smart TTS but with more sounds, for owners, admins and mods. 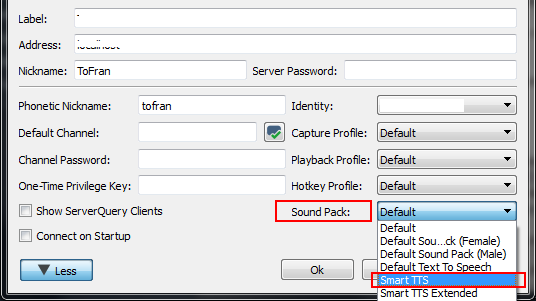 To Install the soundpack, just run the file, then click install. Then restart your TeamSpeak client. 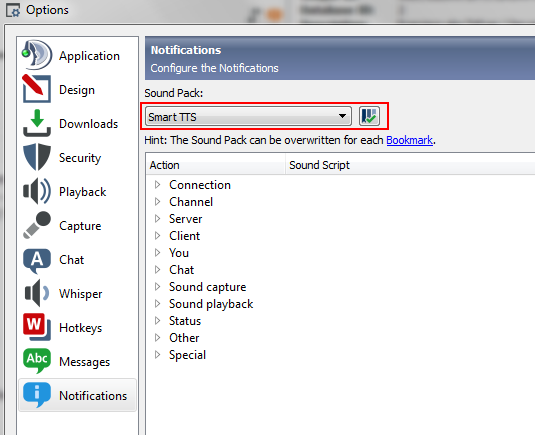 To make it server specific (recommended) go to bookmarks>manage bookmarks, select the server you wish to edit the sound pack then (in the more pane) select "Smart TTS" as the soundpack. To use it for all servers (set it as the default) go to settings>options>notifications then select "Smart TTS" from the drop down menu and then click the check button. Suggestions and feedback are welcome (both positive and negative). Last edited by ToFran; September 5th, 2015 at 05:25 PM. Reason: Stupid sentence error pointed by friend. You say your happy for us to edit I want to know how can I do so I am trying to change only one sound my incoming whisper notify sound to a radio bleep for the airwave radios as part of my roleplay community server how can I access the files inside your pack to edit this please?